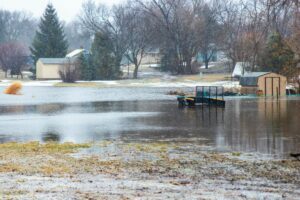 Leaking roofs, flooded basements and washed out roads were the outcome of a 51-degree day in Vermillion last Thursday. Though the temperature eclipsed freezing, 25-40 mph winds and two inches of rain came with—conditions that led USD President Sheila Gestring to cancel classes for the day. Spring temperatures that prematurely trickle into a town’s stockpile of snow guarantee a sloppy aftermath, and since March 13, the southeastern sector of South Dakota, including the Vermillion community and USD, fell victim to floodwaters and seepage from melting snow and thunderstorms. 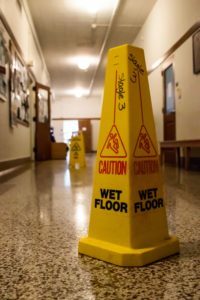 On Thursday, March 14, USD Facilities Management (FM) responded to 33 work orders related to dripping ceilings, mostly in older buildings, like Noteboom and Slagle Hall, said Brian Limoges, Acting Vice President of Facilities Management and Director of Construction Services. 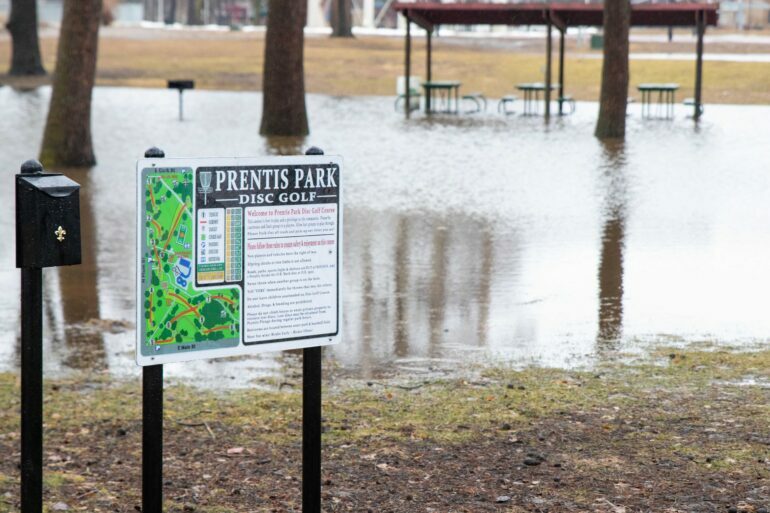 “Since Monday, on top of the snow, we’ve had over two inches of rain. We’ve had several buildings on campus with leaks, some minor, some major. Some of them have to do with old roofs that are scheduled to be replaced in the summertime,” he said. The leakage forced the relocation of faculty and students that inhabit offices and classrooms on Slagle’s third floor. They were replaced by buckets, trash cans, mops and Wet Floor signs. In addition to water dripping from ceilings, the FM crew also had to combat moisture seeping into the foundations of buildings, soaking floors below ground-level. Limoges said the department purchased 300 feet of PVC pipe to extend downspouts away from buildings. “Fortunately, the rain helps with melting the snow, but it doesn’t help with keeping water out of buildings,” Limoges said. Limoges said as of two weeks ago, the ground was still frozen three-and-a-half feet deep. Consequently, water won’t soak into the hard earth and digging trenches through it isn’t an option. An influx of maintenance calls has put a strain on the FM crew, and Limoges said they’ve worked day and night to maintain campus. 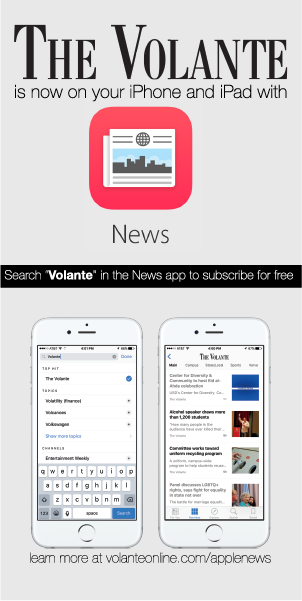 Away from campus, students and residents are battling the same issues. At Sigma Alpha Epsilon, members worked through Wednesday night to keep water out areas below the ground. Park said the house’s sump pump needed emptying every seven-to-10 minutes, and members stayed up through the night trying to keep their basement free from water. “Now it’s to the point where we just have to take it out once every hour. We’re just doing damage control,” he said. For residents fighting water in their homes, Clay County Emergency Management and the County Highway Department supplies sand and sandbags on the corner of National St. and Washington St., a few yards north of the Vermillion Police Department. Andy Howe, Clay County Sheriff, said other than flooded basements and clogged storm drains causing water backup on streets, no severe problems are occurring inside Vermillion. “No need of rescues, no crashes, no stranded vehicles. We’re pretty lucky here,” he said. However, the real problems lie outside of city limits, presenting another problem for those who commute to Vermillion. Finding routes to get from one place to another has been the department’s main concern for citizens in the Clay County area. 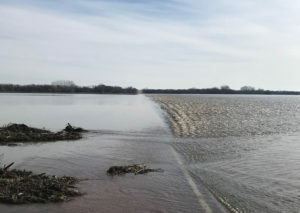 Yankton, Sioux Falls and rural communities in between have taken the brunt of the floodwaters in the eastern part of South Dakota. The Yankton Press & Dakotan reported the closure of 14 roads and the evacuation of homes and businesses, including a boat rescue for those staying in the Econo Lodge next to the Yankton Mall. The National Weather Service reported March 14 that over 15 new crest level records were recorded in rivers in the Sioux Falls area. The Argus Leader reported Metro Communications fielded 1,250 service calls on Thursday alone. Though flooding in South Dakota has refrained from being deadly, the Associated Press reported the deaths of two men in Iowa and Nebraska, along two missing persons in Nebraska, due to floodwaters. On the other side of the state, the Black Hills and Badlands area endured blizzards that brought up to 18 inches of snow on March 13 and 14. Howe said once snow from the colder areas farther north and west begins to melt, the runoff will wash into the Vermillion River. “When all this water from farther up north starts coming down this way, we’re going to see the Vermillion River come out of its banks,” Howe said. This winter, southeastern South Dakota has seen snowfall in vast amounts compared to most years. According to the Sioux Falls Weather Forecast Office (the closest South Dakota office to Vermillion), 21 inches of snow fell during the month of February–nearly three times more than the average amount (6.9 inches). Overall, as of March 18, the Forecast Office has recorded 34.5 inches of snow since Jan. 1, 14.5 inches above average. Howe said the community the county deals with washed out roads and flooded farm fields every spring, but this year, in particular, will be harsh. “This will be a bad one. If you drive around rural areas, you’ll see what looks like lakes, and they’re supposed to be fields,” he said. Limoges, a South Dakota native, said he hasn’t seen this amount of flooding in 10-15 years.